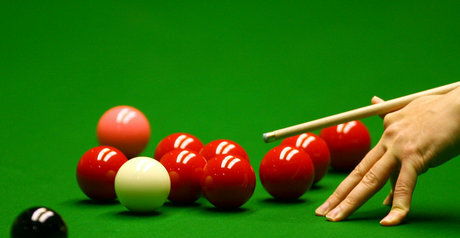 Snooker’s World Open will be staged in the city of Haikou on Hainan Island in China for the next five years. The world ranking tournament will now be known as the Haikou World Open and take place from February 27 to March 4. The world’s top 16 players are automatically seeded into the event – with a further 16 players coming through the qualifying rounds, which run from January 11 to 14. There will also be eight wild cards at the final venue. World Snooker chairman Barry Hearn said: "We are delighted to announce the staging of the World Open in Haikou for the next five years. "The popularity of snooker in China continues to grow at a phenomenal rate and we have capitalised on that by establishing a third full ranking event, alongside the China Open and Shanghai Masters. "We expect to make more announcements about events in China in the coming weeks. "Hainan Island is one of the most beautiful places on earth and an ideal place to stage one of our world ranking tournaments. The players competing in the event are in for a wonderful time and it’s fantastic to be taking snooker to a new part of China. "I have no doubt that the fans there will show the same passion and enthusiasm for our sport that we have seen at our other tournaments in China. "Snooker’s World Open will be staged in the city of Haikou on Hainan Island in China for the next five years. "I have no doubt that the fans there will show the same passion and enthusiasm for our sport that we have seen at our other tournaments in China."